NOTE: Date must be in the form YYYY-MM-DD, like 2019-04-08. 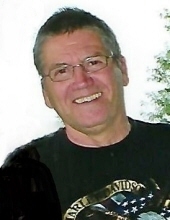 Robert Delmont "Buddy" Matney of Greensburg, KY, departed this life on Friday, April 5, 2019 at his home in Green County. He was 66 years, 8 months, and 27 days of age. Funeral services will be conducted at 10amCT Wednesday, April 10, 2019 at the Cowherd and Parrott Funeral Home with burial to follow in the Greasy Creek Cemetery. Bro. Bill White officiating. Visitation is from 4-8pmCT Tuesday and after 7am Wednesday until time of the funeral service. Pallbearers are: Brandon Ivie, Terry Rayburn, Nicholas Kelding, Ronald Matney, Matthew Hatfield, Ryan Hatfield, Devin Hatfield, Cameron Hatfield, Collin Hatfield, Caleb Ivie, and Andrew Kelding. 2019-04-08 - Photo from the family. The Higginbotham Quartet will sing at Harrods Fork Baptist Church, 169 Harrods Fork Circle, Columbia, KY, on Sunday, April 14, 2019, at 10:30amCT. Sunday School begins at 9:30amCT. Edmonton, KY - On April 7th, 2019 at approximately 4:41pmCT, Trooper Ricky Cross was on routine patrol 12 miles southwest of Edmonton when he attempted to initiate a traffic stop on a Nissan Altima for a traffic violation. The driver of the Altima began to flee on KY 163, turning on and off several back roads before exiting the vehicle and running on foot. After a short foot pursuit, Trooper Cross was able to locate and arrest 38 year old Nathan Pruitt of Edmonton. Pruitt was charged with DUI 2nd degree aggravating circumstance, fleeing or evading police (motor vehicle) 1st degree, wanton endangerment 1st degree (police officer), fleeing or evading police (on foot) 2nd degree, operating on suspended or revoked license, and resisting arrest. The Bearwallow Cemetery Committee will hold its annual meeting at 6pmCT on Tuesday, April 23, 2019 in the basement of Bearwallow United Methodist Church, 6090 Liberty Road, Columbia, KY.
She was a member of the Emory Chapel United Methodist Church and enjoyed sewing, crocheting, singing and playing the guitar. Joyce Faye Turner, 77, of Columbia died Sunday, April 7, 2019 at her residence. Funeral services will be 2pmCT Wednesday, April 10, 2019 at the Stotts-Phelps-McQueary Funeral Home with burial in the A. B. Turner Cemetery. Visitation will be on Tuesday from 4-8pmCT at the funeral home and continue Wednesday morning until time or the service. David Yeagley of Campbellsville, KY, son of John David and the late Jane Williams Yeagley, was born October 7, 1966 in Elwood, IN and died April 6, 2019 in Campbellsville at age 52. Pallbearers will be Jacob Brown, Shane Galley, Adam Hicks, Ron Humes, Zach Humes, Austin McCreery, Eric Pederson and Geoff Underwood. The Kentucky Education Association, a teacher's group whose profile has risen during the last two legislative sessions, has elected a new president. Lee Edward "Eddie" Campbell, a Knox County schools choir director, will replace Madison County teacher Stephanie Winkler as the organization's president. Laura's calling, "Get rid of all but what you can use - right now." At a time when the city of Columbia is searching for grants and any possible funding to help owners upgrade historic properties, one answer may be living quarters on the upper floors above businesses around the square. Dr. Laura Henry Harris and her husband, attorney Mike Harris, shared what it's like to live above their business on the Public Square in Columbia, KY. The question asked them recently was, "what's it like to live full-time above the busy Public Square?" The federal government has launched an investigation into an E. coli outbreak that has infected more than 70 people across five states in recent weeks -- including 46 reported cases in Kentucky. Though no deaths have been reported, the outbreak has hospitalized eight people since early March, according to the Centers for Disease Control and Prevention. Besides Kentucky, the affected states include Ohio, Virginia, Tennessee and Georgia. The eight hospitalizations include six reported in Kentucky. Like many of their counterparts across the nation, Kentucky lawmakers have sponsored legislation in recent years that mirrors "model" bills drafted by outside organizations. The same bills were introduced in or adopted by many other states -- an approach to writing laws that has become widespread in the U.S. A two-year investigation by USA TODAY, The Arizona Republic\0x202Fand the Center for Public Integrity, unveiled this week, shows the extent that model legislation has been used in state legislatures. Read more about this practice in KY at courier-journal.com. Full Public Integrity Article: Copy, Paste, Legislate. On April 23, 2019, the Lake Cumberland Area Development District, Inc. (LCADD) will celebrate 50 years of service to Adair, Casey, Clinton, Cumberland, Green, McCreary, Pulaski, Russell, Taylor and Wayne Counties. The public is invited to celebrate this milestone anniversary during an open house to be held at the Lake Cumberland ADD's office located at 2384 Lakeway Drive in Russell Springs on Tuesday, April 23 from 10amCT until 2pmCT. Despite its long history, many are unfamiliar with the purpose and services provided by the Lake Cumberland Area Development District. LCADD is one of Kentucky's 15 area development districts which provide coverage to all 120 counties. Area development districts are non-partisan regional planning agencies and function as extended staff for local government officials. As LCADD Executive Director Darryl McGaha explains, "Area development districts offer local governments access to a professional staff with various fields of expertise, which many cities and counties could not afford individually." LCADD is governed by a Board of Directors which is comprised of the County Judge-Executives, Mayors and non-elected citizen members from the 10-county area. Board members representing Adair County are Judge-Executive Gale Cowan, Mayor Pamela Hoots, Sharon Payne and Curtis Hardwick. Edmonton, KY - Amber Shirley was located last night, and is now home with her family. She was all about her church and family and friends of whom she had many. Anna Jean Rattliff Rhinehart of Campbellsville passed away on Friday, April 5, 2019. She was 87 years old. The funeral service will be held at 10:30amET on Monday, April 8, 2019 at Parrott & Ramsey Funeral Home, 418 Lebanon Ave., Campbellsville, KY, with Rev. John Loper and Rev. Earl West officiating. Burial will follow in Campbellsville Memorial Gardens. Visitation is requested from 5pmET until 8pmET on Sunday. The guest speaker for April 11, 2019 will be from Anchored Christian Ministries, a residential addiction treatment program for women. Journey to Recovery is a non-profit, faith based support group for anyone with a drug, alcohol or other addiction. Meetings are weekly on Thursday nights at 6pmCT, at Victory Community Church, 1165 Russell Road/KY 80, Columbia KY. Everyone is invited to attend. Congratulations to Mary Ann McQuaide on being named ACEA Educator of the Month. She deserves it! Mary Ann has been the School Psychologist for the Adair School District for 27 years. In addition, she has been the 6th grade and/or Elementary Academic Team Coach for the last 13 years. She is also the district 504 Coordinator. I want to thank everyone who participated in our Annual PRIDE Spring Cleanup. We had a beautiful day to clean up Adair County. We had 22 volunteers clean up portions of 15 roads, with 54 bags of garbage picked up. If someone wasn't able to come help us on Saturday, they can still pickup. Just come by the Judge's Office and get bags/vest/gloves. Campbellsville, KY -. - Campbellsville University's final Noon Organ Recital will be on Tuesday, April 9 from 12:20pmET until 12:50pmET in Ransdell Chapel, 401 N. Hoskins Ave., Campbellsville, KY. Everyone is invited to attend the free event. The program will be the annual organ and instruments concert with faculty from the School of Music and Dr. Wesley Roberts, professor of music, as organist. Dr. Lisa McArthur, professor of music, on flute; Juliana Moura, assistant professor of music, soprano; and Dr. David Junker, a visiting scholar in the School of Music, baritone, will be in performance with Roberts. The Kentucky Forest Industries Association held its 54th annual meeting with the theme "Weathering the Storms" at the Embassy Suites in Lexington, Kentucky, on April 2-4, 2019. Bill and Chris Lagermann, owners of Red Lick Ranch Certified Tree Farm, were awarded the 2018 Kentucky Tree Farmer of the Year by the association. Doug McLaren, Kentucky Tree Farm Chairman, presented the award, along with a Stihl Chainsaw donated by Lyons Outdoor Equipment of Frankfort. The Southern Heirs have a busy weekend on April 14, 2019, singing at two different churches in Russell Springs. It's currently 58F at the Adair County Mesonet station. Expect showers today, with a chance of thunderstorms, and a high near 67F. South wind 3 to 6 mph. The chance of precipitation is 90%, with new rainfall amounts between a half and three quarters of an inch possible. It will remain cloudy tonight, with an overnight low around 54F and light and variable wind. Tuesday will start out mostly cloudy, then gradually become sunny, with a high near 73F. Calm wind becoming north 5 to 9 mph in the morning. Tuesday Night should be mostly clear, with a low around 44F and northeast wind 3 to 7 mph. Adair County: No events Circuit Court. 73 events District Court. Casey County: 94 events Circuit Court. No events District Court. Green County: No events Circuit Court. 44 events District Court. Metcalfe County: 2 events Circuit Court. No events District Court. Russell County: No events Circuit Court. 134 events District Court. Taylor County: 1 event Circuit Court. 94 events District Court. --Robert Stone, Monday, 8 April 2019. I just read where a motorcycle rider in western Ky was killed yesterday when he hit grass clippings blown on the highway. Please, everyone be aware of where you are blowing your grass, it is very dangerous to all motorcycle riders. Also should someone get hurt where you have blown grass on the highway you can be held responsible for the injury or death of a rider. Again, please help to keep all riders a little safer, without them having to worry about grass on the road.